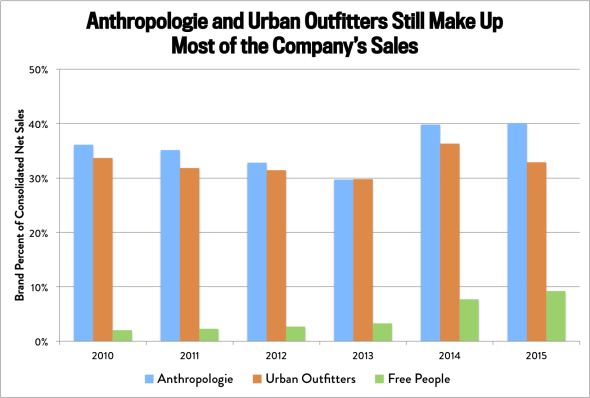 Urban Outfitters Q1 2016: Anthropologie dresses disappoint. Anthropologie, with its wood-paneled stores, artsy catalogs, and flowy, bohemian clothing, would never be mistaken for cheap. But lately, the retailer appears to have exceeded the limits of what even its most devoted customers are willing to spend—and sales are suffering as a result. Urban Outfitters Inc. said Monday that Anthropologie, one of its largest brands, delivered disappointing same-store sales growth of 1 percent in the first quarter. That compared with 5 percent growth at Urban Outfitters and 17 percent growth at Free People, two other holdings of the company. 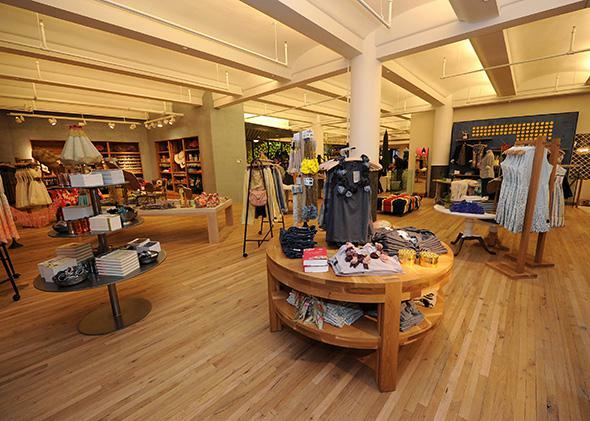 David McCreight, CEO of the Anthropologie brand, admitted in a call on Monday that the store had “missed” on its dresses and accessories offerings. “Dress shortfalls came from missed opportunities in a few key silhouettes, fabrics, and price points, as well as insufficiently addressing our more casual customer,” he said. Urban’s stock plunged 15 percent on Tuesday. 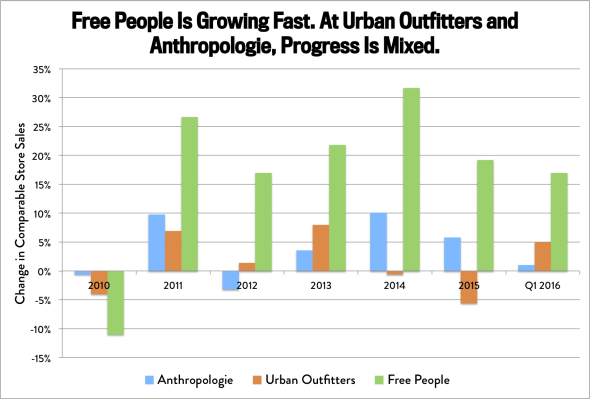 Data from Urban Outfitters. Chart by Alison Griswold. Peruse the offerings on Anthropologie’s “casual and everyday” dresses section online, and you’ll see that most are priced between $150 and $250. Whatever you think of the dress designs, price tags like that don’t necessarily say “casual” and “everyday.” Again, Anthropologie never professed to be cheap, but there’s a difference between paying more for quality, and paying more for the sake of paying more under the guise of branding and quality. Anthropologie appears to be learning that lesson the painful way—poor sales—and now says to expect clothing markdowns in the second quarter as it recalibrates. What else might be wrong with Anthropologie? To quote some Slate colleagues: Anthropologie has “put a bird on it … everything just has one extra detail that makes it not cute anymore.” Its patterns have been “hideous lately” and its fits “terrible.” It may have overbet on the maxi dress. They “lack the ability to evolve to more current trends.” That’s a sampling of opinions from a half-dozen millennial women, none of which bodes too well for Anthropologie. Elsewhere under Urban’s umbrella, things are going better. Free People, the smallest brand by total sales, continues to be the strongest performer in terms of growth. Urban’s 5 percent same-store sales growth also reversed a rough showing in the previous year, when that metric fell 5.6 percent. So, there’s hope. But at Anthropologie, it’s probably time for a big summer sale.